I’m going into 2015 with an open mind. I would love to ride more brevets this year, but I’m leaving mileage goals wide open. 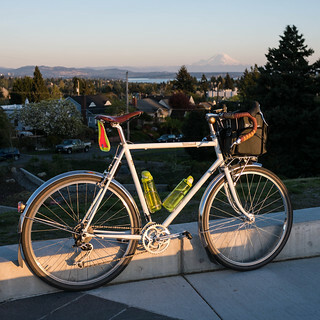 I did a few “permanents” last year (solo brevets that you schedule yourself), and I really enjoyed them. 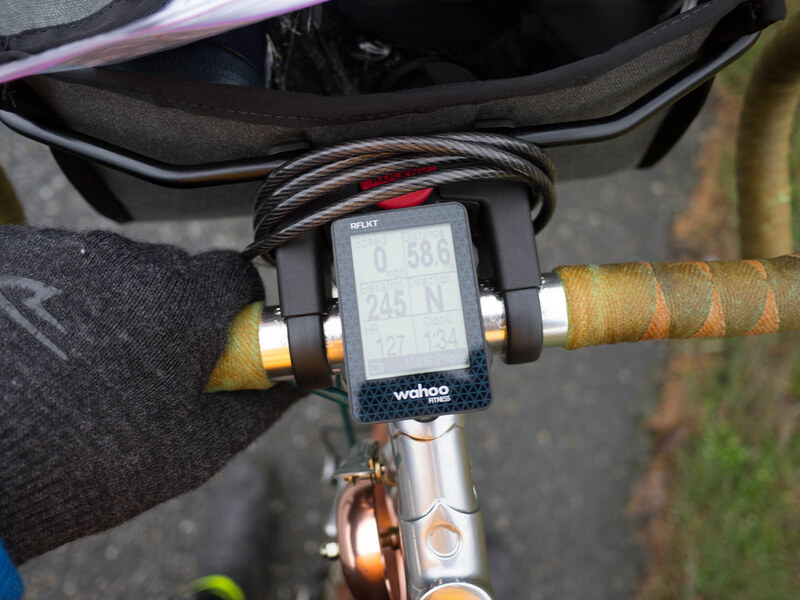 There are 200ks around Whidbey Island that I’d like to do regularly, and I even set up some rides in the Ride with GPS app, including one populaire (100k) that I may ride and submit for permanent status if it turns out to be good. It’s quite a hillfest, however! I would still love to see how far I can make it in 24 hours (or if I can even ride that long) and then maybe try a longer ride at some point. I am pretty sure I’m not up for the PBP or any 1200k quite yet – I haven’t the will power for that much time in the saddle in a short amount of time. I’m not leaving it off the table, however. 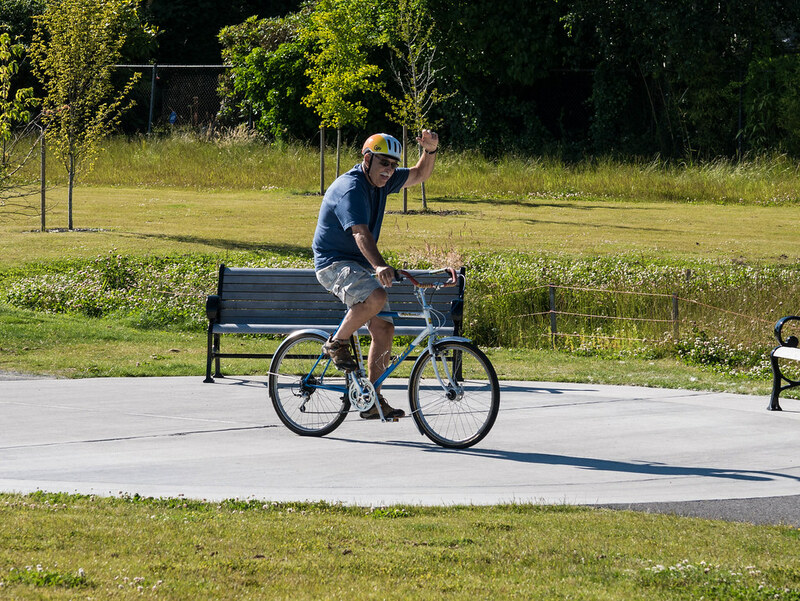 One thing is for sure: I want to bike into old age, and continue to enjoy my rides. I’ve been out about once a week since mid December. I guess this is my yearly break. I’ve been focusing more on diet and basic Pilates exercise to keep in shape, but I’m giving my knee a rest to get my adductors stretched back out. 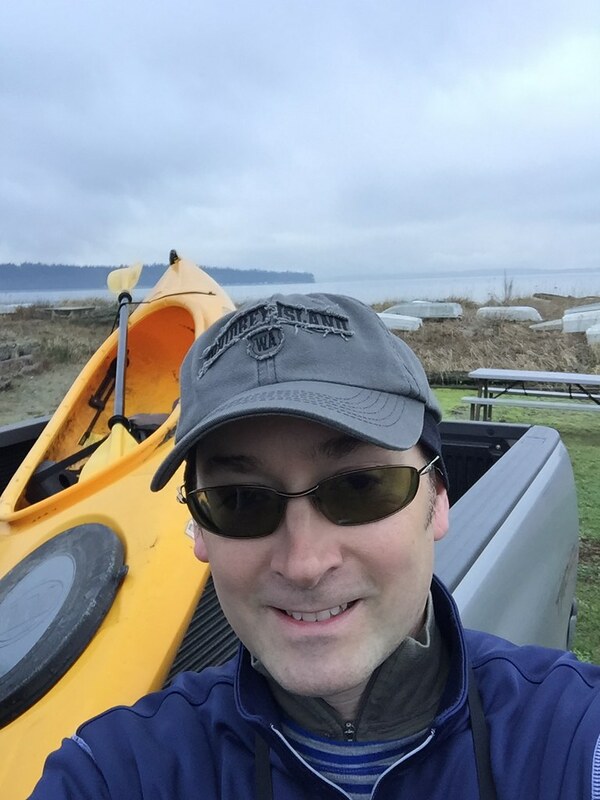 I also just tried out kayaking, and this will be added to my weekend relaxation/exercise plans for 2015. 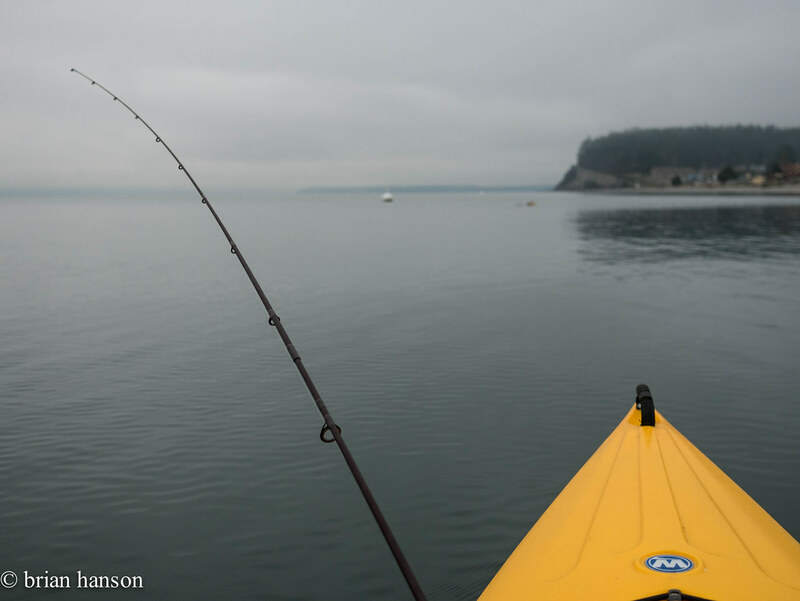 I really enjoy paddling around, and have a lot to learn about cruising about in the cold water of the Sound. I also need some cross training so I don’t continue the descent into a biker physique combined with a tech slouch. One interesting ride I plan to try this year is the Oregon Outback. This is a 360 mile, mostly gravel journey that crosses the state south to north from Klamath Falls to Deschutes. There was much written about it last year, with some like Ira Ryan and Jan Heine “racing” the route and finishing in under 30 hours, and others taking a leisurely multi-day tour to the finish. I will be likely doing the latter with a friend and my Hunqapillar. I don’t get enough chances to really ride that bike under load in it’s primary capacity. The last time it wasn’t just a commuter was the Rivendell Entmoot, and that’s just sad and wrong! An auspicious year for this family of horses, 2014 was pretty nice. There were a few epiphanies, and a lot of riding. I’m sitting around resting a nagging medial knee issue that has kept me off the bike for the past week or so. I’ve been wanting to get out and do one last permanent to finish off the 2014 season, but better judgement is telling me to wait until the knee feels normal. I know from past experience that the best way to heal is to go easy for a while. While I didn’t do much more mileage this year, it was still a full year of riding with 3,111 miles (just over 5000 kms) so far. Last year I did just over 3000 miles, as well. 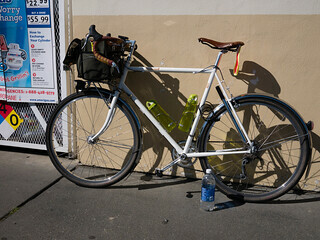 I did most of my brevets early, with the organized rides over at the end of March. That month was also my first 500-mile month. I rode my first solo permanent in April, and did some Moab mountain biking over spring break. July brought the Entmoot, and as usual, a lower amount of riding as I seem to slow down in the summer months. 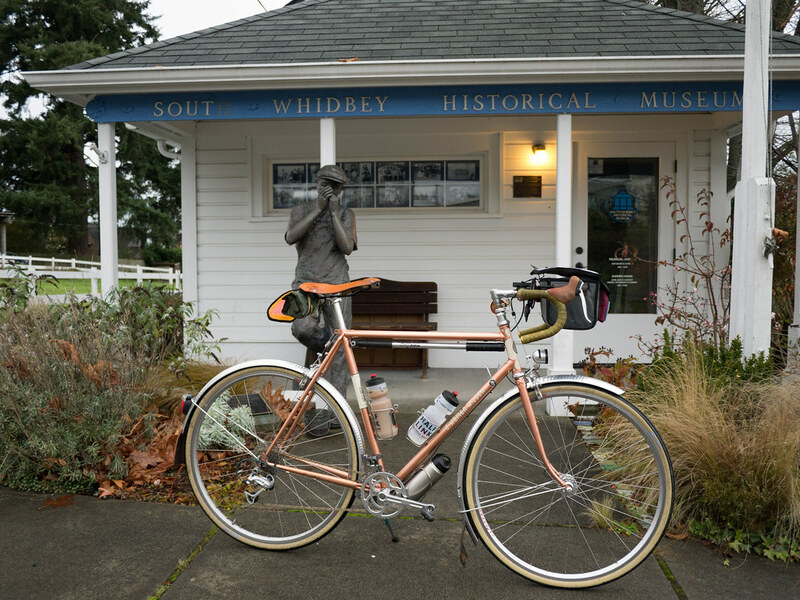 I picked it back up in September, and peaked in November with a late season 200k permanent around Whidbey Island. I am loving this island’s smooth hilly roads, and have a few more brevets and just general rides planned for the future. My average speed has not budged in the past 3 years, so I may work on my fitness in the new year and see if I can’t bump that up with some interval training. I am still hedging on the longer rides (over 300k) – I’m just not sure if I would enjoy them. The Entmoot ride was an eye opener this year, and I feel like unorganized rambles have a special attraction with exploration and time for photos and camping with friends being great short vacations. The planning and anxiety around an organized brevet sometimes feels like work. As for the mechanical side, I am slowly gaining more perspective and opinions on what works for me. I really like the Cycles Toussaint experiment with low trail and plump 650b tires. Tubeless has worked out well, too. I appreciate the extra cush on the rides, and less worry about flatting. I still enjoy the Hilsen’s ride with the 32mm Compass tires, too – they are almost as compliant with significantly less air volume. I’ve come to feel that the 42cm Noodles are the right cockpit for me over the long distance. I continue to enjoy the Selle Anatomica saddles, and Sidi shoes. 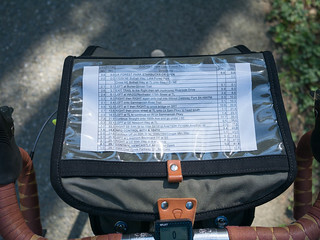 I am not bothered by having 7 or 8 speed cassettes, and index and friction both work, but on the longer rides, I appreciate the simplicity of indexing. I have bar-end shifters on the Toussaint, and downtube shifters on the Hilsen, and both are set up indexed at this point. I really enjoy the centerpull brakes on both bikes, but the post-mounted Dia-Compes on the Toussaint have amazing modulation and easy setup. I appreciate the simplicity of the older brake style. 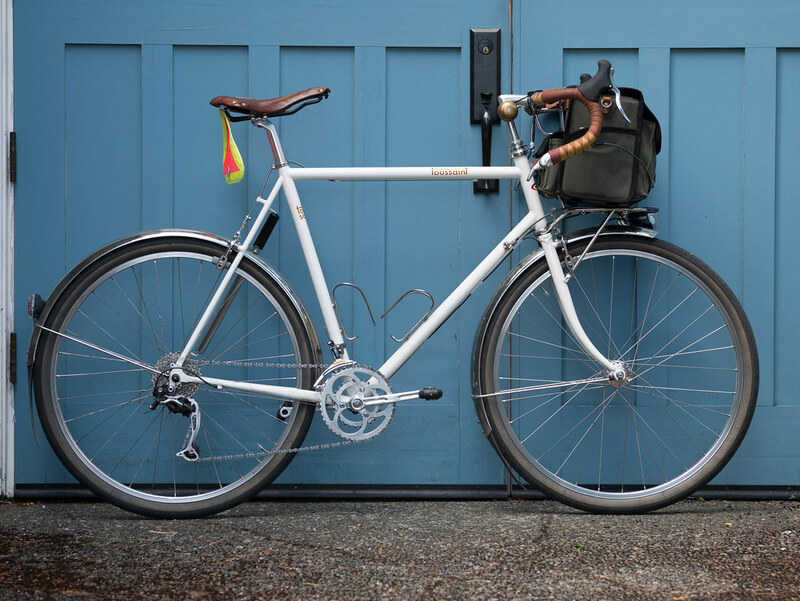 I think a great project would be to have centerpull braze-ons added to the Hilsen, perhaps with a low-trail fork, S&S couplers, and Compass Mafac copies added. Hmmm – perhaps when it’s ready for a re-paint, I can convert her over to 650b as well? Probably a silly experiment better addressed by a custom. I rode my first permanent today. Did the 100k solo, and it couldn’t have been a nicer day. 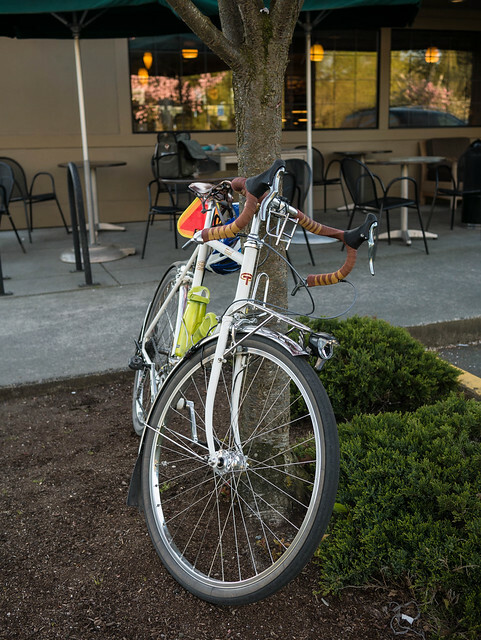 A permanent is different from an organized brevet in that it is an approved route that can be ridden on your own time of choosing. There are permanents that span from 100k to 1000k. Some are well known brevet routes. It was interesting in that there were three controls where I bought snacks to collect receipts. Generally during a brevet, the store cashier signs and records the time on the brevet card. This was all solo with no real interactions. Two of the controls were questions about the spot in focus. I took photos of these just in case. Not a bad experience, overall. I felt pretty good, the bike was flawless, and the weather was glorious. The ride took just over 5 hours, and I added 21 miles in transport to the start and from the finish. Zoo Hill itself was intense. It climbs 1000 feet in a mile or so. There were amazing views, and the descent was smooth and fast. My favorite part of the ride was May Valley Road. New blacktop on a sweeping fast flat farm valley. Very picturesque!